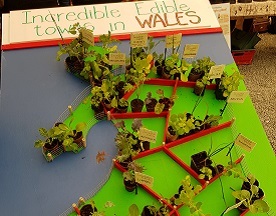 On Saturday (16th) we celebrated Incredible Edible in Wales with the latest of our Connecting Communities events where we bring together Incredible Edible groups to connect, share and learn together. 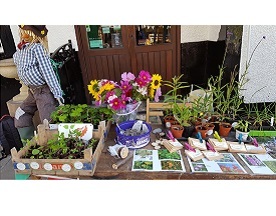 The extreme rain couldn’t keep folk away, and joining us at the Bowling Club in Machynlleth were 35 people from eight Incredible Edible groups and others interested in all we do. Bringing Incredible people together in a room is always inspiring with lots of useful discussions, putting faces to names and making new contacts, and this event was no different. The day started with presentations from Sarah Ward, Gary Stott and Pam Warhurst, show casing some of materials and initiatives the Incredible Edible Network have been rolling out, and explaining how Pam takes the learning from across the network to anchor institutions, like the NHS, councils and housing associations. 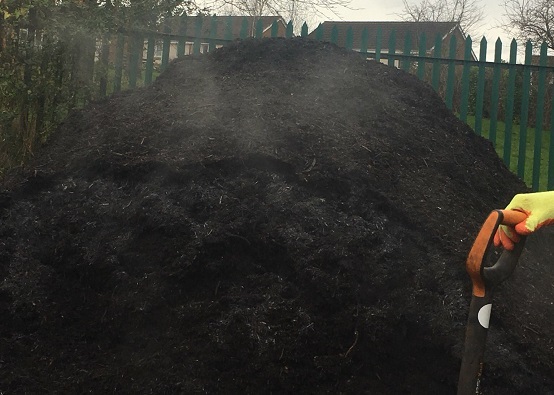 Our Connecting Communities events always schedule in time to see what’s going on in the local area, but with the rain coming down in sheets, only half the group braved the elements to see some of the Edible Mach sites around the town. The rest of us enjoyed a virtual tour courtesy of Matt, who had a great presentation with lots of photos from the Edible route through the town, including a beautiful picnic table with fruit trees and herbs growing from the centre. As seed week starts, we also heard from Incredible Edible Llambed who run the Llambed Seed Library, a great community resource supporting seed sovereignty in the local area. 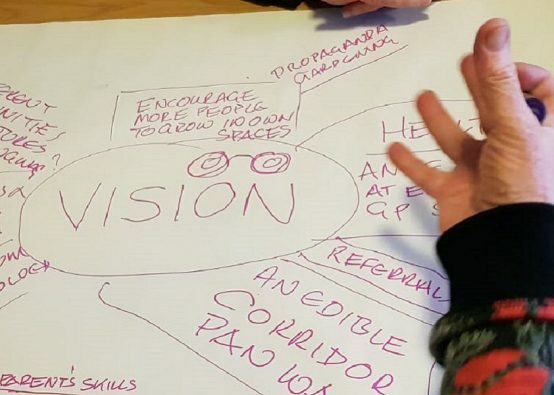 After a hearty lunch, lots of home baking and time for chatting and sharing, we heard from Incredible Edible Porthmadog and the plans for an Incredible edible corridor through the town starting from the well-established growing area at the leisure centre. The final World/Wales Café activity allowed everyone to consider four crucial questions – what is going well, what is challenging, what is the vision and what are the next achievable steps? Which prompted lots of ideas, more sharing and exchanging of contact details as Incredible inspiration flowed around the room. 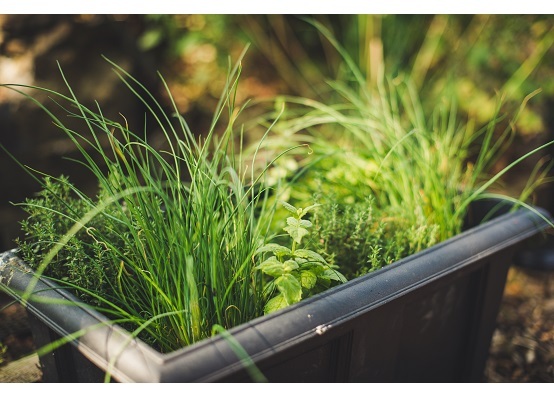 The day was another demonstration of the benefits of connecting between Incredible Edible groups, with ideas shared between groups across Wales. 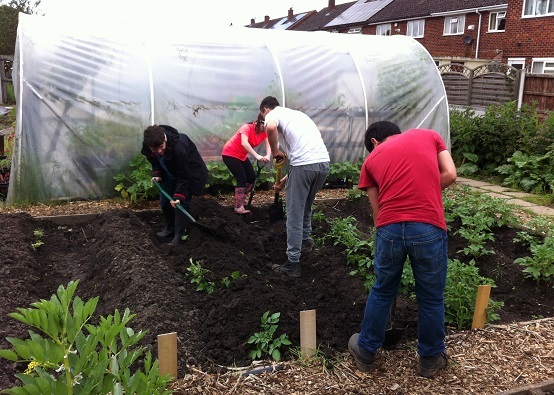 If we haven’t run a Connecting Communities event near you, then have a look at our map to find your nearest group and say hello, maybe arrange a visit – read here about the visit between Incredible Edible Brighouse and Incredible Edible Wakefield. Connecting allows the sharing of practical ideas, experiences and techniques as well as providing ample motivation to get back to your own patch to get on with your Incredible activities.